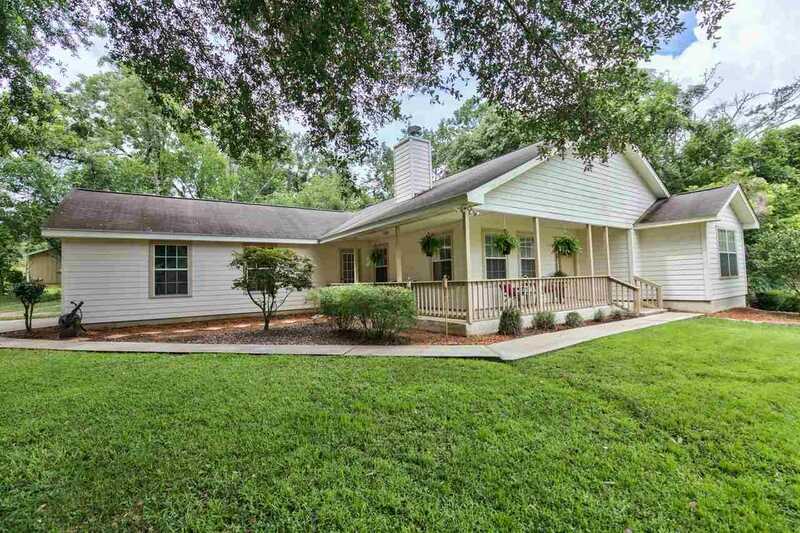 3BR/2BA home in Killearn Acres. You'll love the rocking chair front porch! Large family room with wood burning fireplace. Dining room / Kitchen opens to back patio for easy entertaining. Master bedroom features a walk-in closet, bathroom with garden tub, large vanity and separate shower. Large inside laundry with extra storage space. Side entry 2 car garage on a large corner lot with a privacy fenced back yard, in a quiet neighborhood. Convenient to shopping, schools... great community for walking or bike riding. SchoolsClick map icons below to view information for schools near 6504 Carry Back Trail Tallahassee, FL 32309. Listing provided courtesy of Mattox Realty, Inc.